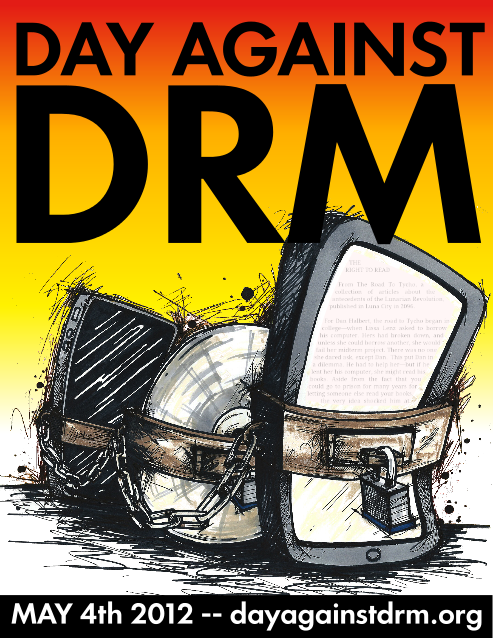 May 4th is International Day Against DRM. The day is intended to protest crippling Digital Rights Management solutions which prohibit people from freely accessing and sharing files that they have legally purchased. While most music files are now available DRM free, it is still a huge problem in the ebook world. Publishers, are, however, beginning to take notice. Tor Books recently announced that their titles are going to be offered DRM free. There are a number of small presses that offer their titles DRM free. Please leave a comment with the name and website of small presses that offer freely accessible files. 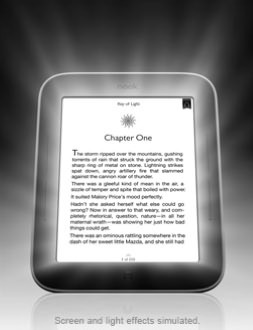 Barnes & Noble has announced the new Nook Simple Touch with Glowlight. The device can now be pre-ordered and will be available on May 1, 2012. You can see video of the reader here. According to this article from Bloomberg, Hachette, Simon & Shuster, and Harper Collins are rumored to have settled with the DOJ. The article further states that Penguin intends to fight. In Macmillan’s response, CEO John Sargent says that they will fight the suit.